Valerio Del Baglivo is a freelance curator, educator and perennial collaborator based in Italy. Collaborative research, alternative education, fiction and storytelling play a continuing and vital role within the methodology and interests of Valerio Del Baglivo. He attended Curatorlab, an independent curatorial course, at Konstfack University (2011), and is now completing a PhD Programme at Middlesex University with a research focused on public engagement and experimental pedagogy in self-initiated art institutions. He has integrated his academic training by participating in international residency programs at The Banff Centre in Banff, ICC at Gwangju Biennale in South Korea, Wysing Art Centre in Cambridge, Futura in Prague, The Luminary in Missouri and BAR Projects in Barcelona. In the last years he has curated exhibitions and projects for organizations such as, Apexart - NY, Kunstverein – Milan, Konsthall C - Stockholm, Kunsthalle WUK- Vienna, Azkuna Zentroa - Bilbao – and Fondazione Sandretto Re Rebaudengo – Turin. In 2017 he initiated with artist Ludovica Carbotta The Institute of Things to Come an itinerant institute that embrace irrational, mimetic and fictional knowledge with the aim of destabilizing models of objective scientific research. He was 2017 Curator in Residency and Shadow Curator at Grand Union, Birmingham. Since 2013 is a member of IKT – International Association of Curators of Contemporary Arts. 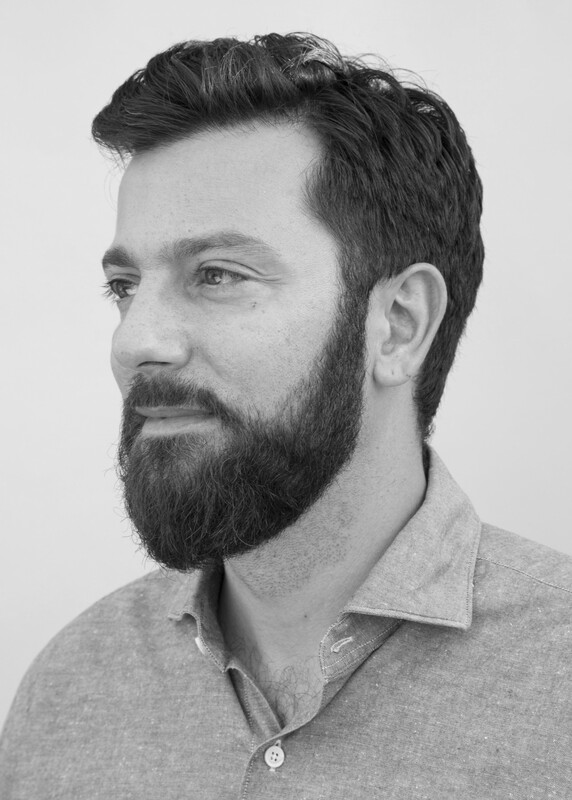 He is currently Associate External Curator at MAXXI (Rome) and Visiting Curator of UNIDEE at Fondazione Pistoletto (Biella). Michele Bertolino (Savigliano, 1992) is a freelance curator and researcher. He graduated in philosophy, with a thesis titled, “Decentralization and Framework: Hypothesis for a Philosophy of Art”. His main interests are ontology of art and social ontology, focusing specifically on the merging of the two. He is currently running a project-space in Milano, Il Colorificio which he founded in 2016 and collaborates with several art galleries on specific exhibitions. Ludovica Carbotta (Torino, 1982) lives and works in Maastricht (NL). Her practice focuses on the physical exploration of the urban space and how individuals establish connections with the environment they inhabit. In recent works, she has combined installation, texts, and performance to research fictional site-specificity, a form of site-oriented practice that considers imaginary places—or embodies real places with fictional contexts—recovering the role of imagination as a value to construct our knowledge. Carbotta completed her MFA at Goldsmiths University in London (2015). Her work has been exhibited in numerous institutions including Kunstlerhaus Museum (Graz), MAXXI Museum (Rome), Fondazione Sandretto Re Rebaudengo (Turin), Hangar Bicocca (Milan), Dublin Contemporary (Dublin), Matadero (Madrid), Swiss Institute (Rome), and Les Instants Chavirés (Paris). Recent solo exhibitions include Marta Cervera Gallery, Madrid (2017), ON Public - Monowe, Bologna (2016), A motorway is a very strong wind, Care Of, Milan (2014), Vitrine 270° - Without Walls, Galleria Arte Moderna, Turin (2013), and Greater Torino, Sandretto Re Rebaudengo Foundation, Turin (2011). She is the co-founder of Progetto Diogene, an International Residency Program in the public space and The Institute of Things to Come, a research centre on futurological scenarios. She was awarded the Ariane de Rothschild Prize, Milan (2011), the Premio Gallarate (2016), an International Fellowship at Gasworks, London (2016), and the Special Mention at Premio ITALIA, MAXXI Museum, Rome (2016). She is currently a fellow researcher at Jan Van Eyck Academie, in Maastricht (2017-2018).